Brother Jesse Blog: One-on-One Interview With Jasmine Crowe of BlackCelebrityGiving.com: "I wanted to inspire social change and celebrate the good things that happen every day." One-on-One Interview With Jasmine Crowe of BlackCelebrityGiving.com: "I wanted to inspire social change and celebrate the good things that happen every day." 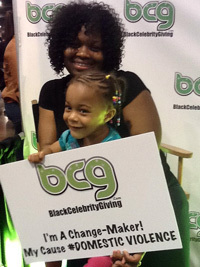 (Blogger’s Note: Jasmine Crowe is the Chief Change-Maker of BlackCelebrityGiving.com. I became aware of her great community work after she partnered with Brandon Frame and TheBlackManCan.org to host the inaugural 2012 Black Man Can Awards. Brother Jesse: Can you please share a little about your upbringing and schooling? Jasmine Crowe: I was born in Ft. Worth, Texas but growing up as a military child, I've lived in Texas, Oregon, New Mexico, Arizona, and North Carolina where I attended high school in Charlotte and college at North Carolina Central University in Durham. I am a proud HBCU graduate! Brother Jesse: When did you launch Jasmine Crowe Agency? Did you quit a job to do so? Jasmine Crowe: I founded the agency in 2010 and like a true entrepreneur, I had to work harder and do it as a second full-time job. Brother Jesse: Why is your firm focused on social responsibility, program development and nonprofit branding? That's an interesting combination. Jasmine Crowe: As I began working closely with nonprofit organizations, I noticed some key mistakes often duplicated from even the highest level of organizations. I knew there was a need for concise branding and program development to help nonprofits define and fulfill their mission so they can continue to flourish. Social responsibility truly is the root of who I am. I know I was put here to give back and help others. 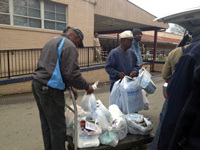 In this area of work, I get to empower giving and the recycling of positivity in the community. Brother Jesse: What challenges have you overcome as an entrepreneur? Jasmine Crowe: Time and Strength management. I am a believer in myself 1000%, when I believe I can do something, I focus and I do it. At times, I've been doing two or three things at once, but always striving to be the best in everything I do. Learning how to manage my time, utilize my best skills and delegate when needed were my biggest challenges. Brother Jesse: When you launched BlackCelebrityGiving.com in 2011, what void did you aim to fill? Jasmine Crowe: The idea for the site came from the vivid awareness of a lack of media coverage for positive things taking shape to impact our communities. We wanted to be not only about celebrities but also nonprofit organizations and causes that directly correlate with the black community. I wanted to inspire social change and celebrate the good things that happen every day. Brother Jesse: What impact do you think it is having on people's perception of the importance of giving back, no matter how small? Jasmine Crowe: It has been incredible. When we highlight celebrities or organizations that are giving back and they retweet it on Twitter and tell their constituents, it creates a rippled effect, countless people are seeing that giving is good! We receive hundreds of emails from people doing phenomenal work all over the world to give back. I know that we all have a heart and our heart strings pull for different causes, but most everyone cares about something. So I would say the impact is happening and it gets bigger every day. Brother Jesse: Do you feel like you're working a job or fulfilling your purpose? 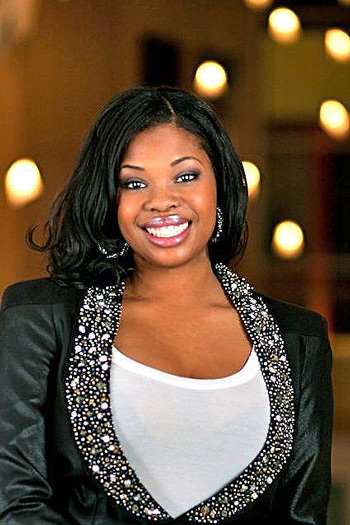 Jasmine Crowe: Fulfilling my purpose. BlackCelebrityGiving.com gives me so much joy. I know God is using my greatest gifts every day for such a powerful outcome. We are creating change by providing an outlet to empower nonprofit organizations from all over the world. Since our inception in 2011, we've donated more than $15,000 through grants, donations and sponsorships, highlighted over 250 charities and countless black missing men, women and children, hosted national cause campaigns and so much more. Many of the organizations we have featured on the site have since networked with each other and continue to do amazing things in the community. Our BCG Awards ran from November 2011- January 2012 garnering more than 200,000 web impressions and nearly 20,000 votes cast. We are looking forward to celebrating our one year anniversary this July in New Orleans, LA where we'll be honoring local nonprofits that work with youth and the homeless! Brother Jesse: This year you partnered with TheBlackManCan.org to host the inaugural Black Man Can Awards. Being a Black woman, how important do you think it is for our community to see positive images such as this of Black men and boys every day? Jasmine Crowe: I can't even begin to describe the need for these awards and the positive impact it has brought to our communities. I've had the chance to speak and hear from young black boys who tell me how on their way to school with a backpack at 7:30 in the morning, people assume their gang members or are planning to rob them. When I hear that from young men who are heading to college and doing the right thing, it hurts me to my core because our kids often don't even get a chance. We need to highlight and celebrate what is good, there are so many of our men and boys that are often unrecognized for all the good they do. It's time we celebrate and honor the positive black male image! Brother Jesse: I read that you will be releasing a book soon. Please tell me about it and the release date. Jasmine Crowe: I am planning for 2013. I am a super tough self-critic so although it is done, I am going through a huge editing phase. The book is really a reflection of life lessons learned while building your business and finding your purpose. I hope it will edify the statement that the "Triumph cannot be had without the Struggle." Brother Jesse: If there was one quote that could sum up how you live your 86,400 seconds every day, what quote would that be? Brother Jesse: Awesome quote! Thank you!